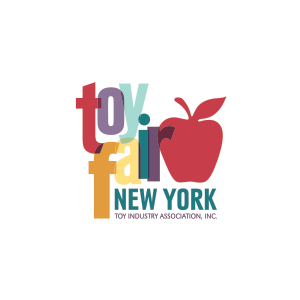 PLAYMOBIL®, a leading global toy manufacturer for over 40 years, announced today at the American International Toy Fair in New York City the newest additions to its iconic toy line, guaranteed to engage and delight both children and their parents. PLAYMOBIL remains at the forefront of creative play with their internationally award-winning product line and ongoing mission to inspire kids to explore the far reaches of their imaginations. New playsets bring to life both classic and unique themes — exploring the ancient world of the pharaohs, the thrill of sailing aboard a luxury cruise liner, or traveling to the Golden Age of Rome, among others. As with all PLAYMOBIL toys, the new playsets feature attention to detail, intricately designed accessories and ingenious building pieces that allow kids to easily create their play worlds. . . and imagine new ones! 2017 also marks PLAYMOBIL’s first foray into licensed entertainment properties with the debut of new lines inspired by both Sony Pictures Consumer Products’ original Ghostbusters™ and Universal Brand Development for DreamWorks Animation’s How to Train Your Dragon. 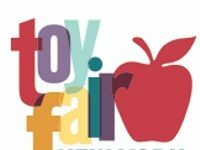 All of PLAYMOBIL’s 2017 products will be on display throughout Toy Fair at booth #2155. Find Spengler mixing up his current ghost-fighting mixture in the lab, Stantz keeping a close watch on the Library Ghost, and Janine answering all ghostbusting calls. When the call comes in, watch them race into action sliding down the fire pole to the garage. Park the Ecto-1 (9220 – sold separately) inside for even more ghoulish action. And don’t forget to lock up all ghosts in the Ghost Containment Unit. Unlock ancient secrets and mysteries inside Pharaoh’s Pyramid. The five chambers within hide precious treasures protected by tricky puzzles and sneaky traps. Discover the room filled with jewels and golden riches or climb the stairs to enter the tomb chamber complete with mummy. Just watch out for the booby trap waiting to drop you below! Remove the pyramid walls to discover even more ways to play. You can sneak through the revolving door, but be careful. Skeletons or spiders may be hiding in the shadows. Set includes 3 figures, tomb, mummy, two skeletons, treasures, spiders, fire pots, hieroglyphics, and many other accessories. Take the battle to the seas with the Roman Warriors’ Ship. Set off the cannons to impede any incoming fire. Don’t forget to adjust the sails for rough seas ahead. The handy compartment underneath can store any extra supplies. This floating boat is perfect for pool or bath-time play, or kids can snap in the rollers to the underside of the boat for floor play! For even more action, upgrade with either the regular (7350) or RC Underwater Motor (5536). Set includes three Roman warriors, shields, boat with oars, regular and fire arrows, fruit baskets, swords, and other accessories. Set sail for some high-seas fun on the Cruise Ship! Relax in your spacious guestroom, complete with beds, a sitting area, and private bathroom. Simply pull out the lower deck for easy access and, in doing so, reveal a staircase leading to the upper deck. The top deck offers a great place for sunbathing, thanks to the lounge chair and open-air seating area. When you’re done relaxing in the sun, glide down the slide into the refillable pool below or stop by the restaurant for a snack. The floating lifeboat ensures that guests have a safe cruise. Upgrade the lifeboat with the PLAYMOBIL Underwater Motor (7350 – sold separately) or integrate the Singer with Stage (9165 – sold separately) for an even bigger vacation experience. Includes three adult and two child figures, life boat, lounge chairs, luggage, furniture, food, beverages, and other accessories. Reduce crime in the city and lock up the bad guys! From the command center, monitor both the prison and surrounding city for criminal activity. Once the bad guys have been captured, bring him into the processing room for their mug shots and fingerprint ID. Then take him to his cell, but keep a close eye to make sure there isn’t an escape through the breakthrough wall! Set includes three figures, handcuffs, desks, chairs, cots, prisoner clothing, sink, toilet, equipment locker, helipad, computers, badges, and many other accessories. Open the two front panels of the Play Box to reveal a locker room full of hockey gear, a player, and game-play strategies. Perfect for on-the-go play, all the pieces can be stored inside this portable set and the top can be used as a handle, making it a must-have travel accessory. Set includes two figures, hockey sticks with stand, goalie mask, gloves and leg pads, weights, desk, laptop, and tons of other accessories. Score the game winning goal with the NHL Shootout Carry Case. This compact take-along case lets your youngster explore their imagination and choose their favorite NHL teams to face off. When playtime is over, simply store the pieces inside the case for next time! Set includes two players, one goalie, net, puck, and other accessories.